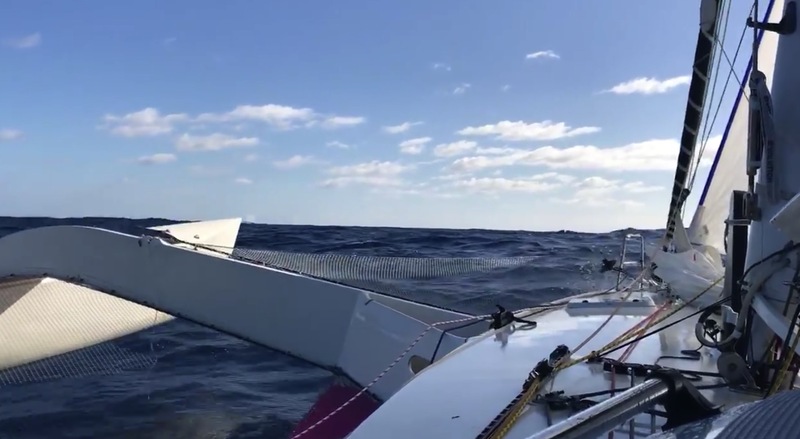 Less than 24 hours ago, Ave Gitana opted to seek shelter from the 30 knot head winds instead of bashing into it, but the team have now upped anchor and have set sail for Noumea, leaving the safe harbour behind. 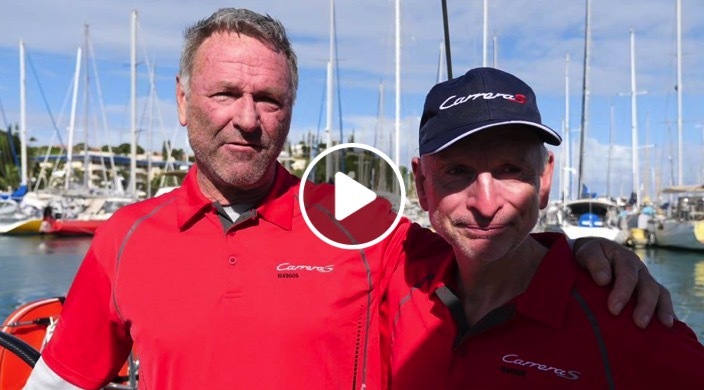 Skipper Antonio Pasquale, with Chris Hornell, Simon Miller and Gordon Hammond made the decision that the lightweight Crowther 40 was better suited to waiting it out in Paradise Bay on Urupukapuka Island (Bay of Islands) rather than being belted by the 30 knot headwinds that the rest of the fleet was receiving. 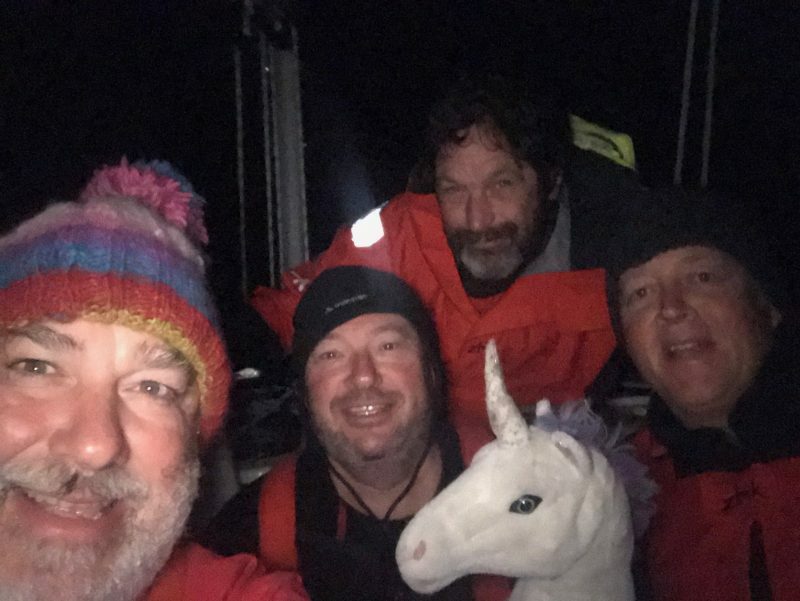 “Crusty”, the team unicorn is also set to hit the open ocean and make the passage to Noumea. Yes… Crusty is a plush unicorn and unofficial crew member who accompanies the team wherever they go. 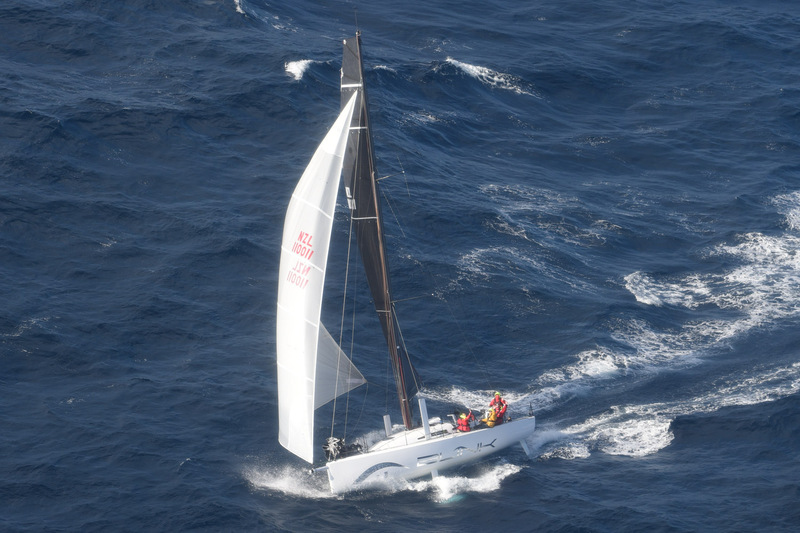 Ave Gitana will now join in with the scheduled positions reports as a member of the Auckland Noumea Yacht Race.